We went to the home improvement store for nails, but when we happened to walk by a clearance cart full of $1 succulents.... How could I not buy them?! The nails turned into some potting soil... and some pebbles... and some plant fertilizer... and as my husband carried all the other bags I carefully carried six little succulents to the register, then held them on the car ride home. The little plant babies have joined my indoor garden! As far as containers, I have a lot of vintage Pyrex dishes I no longer use for food. I got them as wedding gifts and happily used them for cooking until I found out about the sky-high levels of lead found on and in some old Pyrex pieces. I have personally felt uncomfortable using them with food since then, so many of the containers have just been sitting in a box. 1. Fill the bottom with small pebbles. It is usually recommended to plant in containers with holes at the bottom to allow for proper drainage of the soil. I'm not about to try drilling glass, so putting pebbles at the bottom helps prevent root rot by giving water somewhere to sit below the soil. It's still important with hole-less containers not to overwater, though. 2. 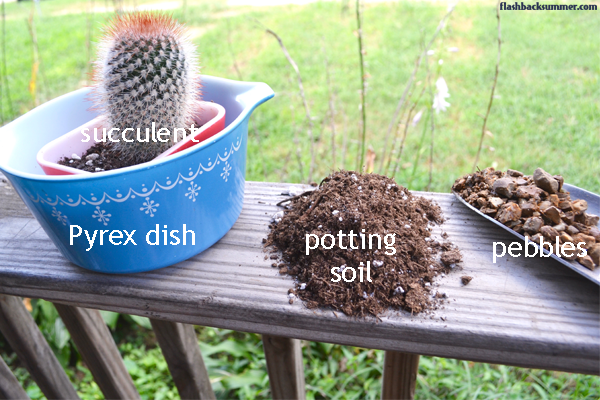 Fill the Pyrex container 1/2 of the way with potting soil. 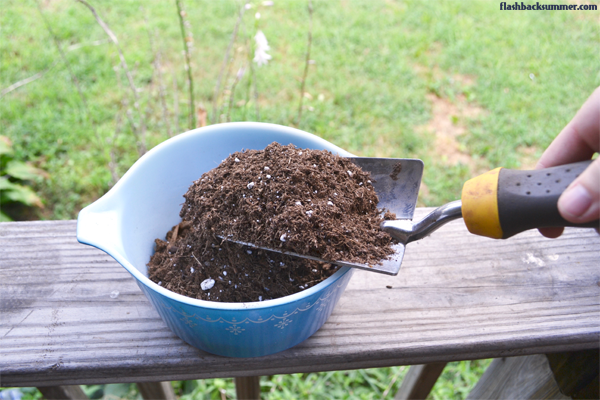 Using a potting soil (rather than other plain dirt) will ensure your plants get enough nutrients, since they aren't outside with nature-made nutrients that are replenished over time. 3. 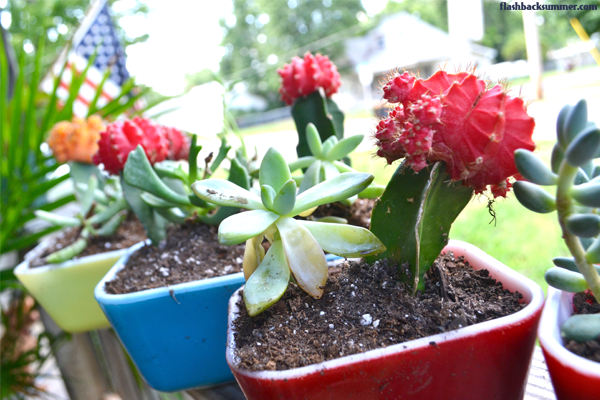 Choose your succulent placement and fill in soil around them. Arrange them in a way that looks good to you, and give them a bit of room to grow. Fill in the soil around them and pat to keep them in place. 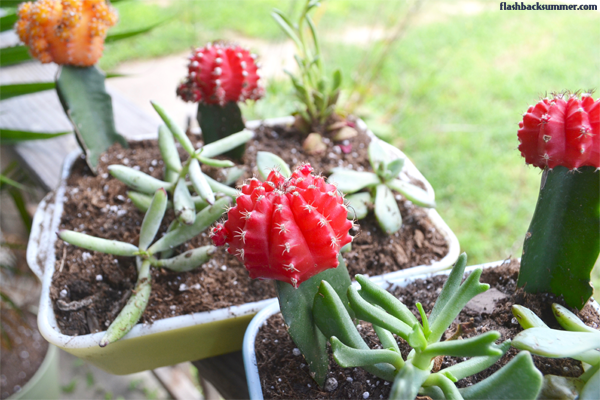 Most succulents seem to have similar sun and watering needs, but it's always good to check and make sure you group plants with similar needs together. 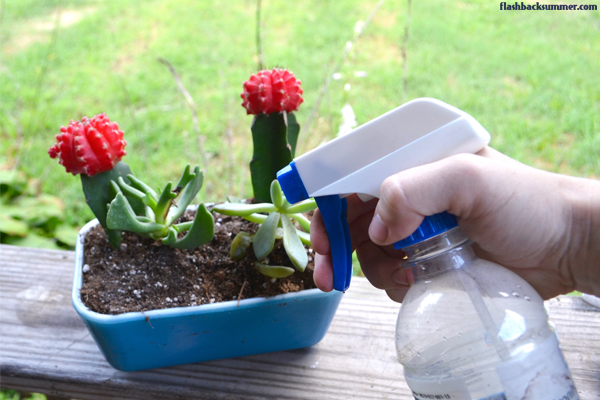 Most succulents come with care instructions that will tell you how much water they need. The majority of the succulents I have don't need to be watered often, just when the soil has dried out. Once again, be sure not to overwater! 5. Find an appropriately sunny spot to put them. Put them in a good spot and enjoy your plant babies! 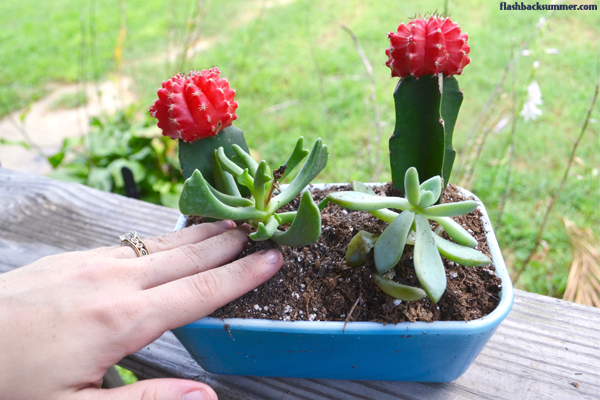 Have you taken part in the succulent trend? 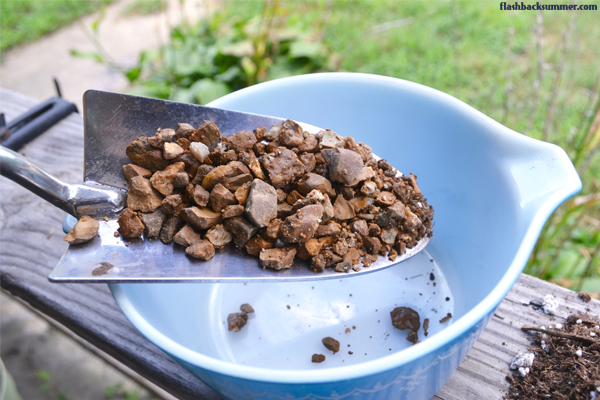 What do you think about old dishes and lead? Do you have any other non-kitchen uses for your old Pyrex? Is There Lead in Vintage Pyrex? Holy cow I had no idea about the vintage pyrex thing! That's terrifying! I'm happy that none of my pyrex is vintage/painted pretties. Mine's all straight-up clear. I like how cute and happy your new garden is! Oooo, I like all the plants you have around! Those sound lovely. I just planted some basil and other herbs to keep inside for the winter. It's amazing how plants really do make me feel adulty too! Awesomely innovative (and fun!) idea. Thank you for sharing this great gardening tip. Yeah, I think it depends on the Pyrex, what year it was made, that sort of thing. Apparently there are at-home lead tests you can buy that would help you know for sure. I had no clue that vintage pyrex had lead. Yikes! Of course I just bought a beautiful pristine vintage set of golden yellow flowered bowls. I guess I'll have to think of some other way to use them. Thank-you so much for sharing this info with us- especially before I started mixing up food in them! 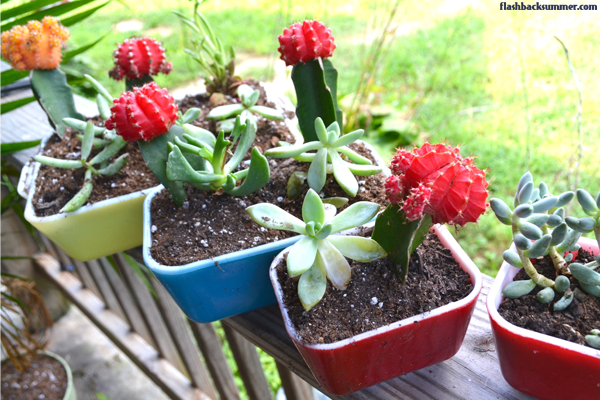 Oh, and the succulents are adorable too!